Punnett's Square: Are We Part Insect? The most readily accepted theory of evolution states that organisms have inherited their genes from their ancestors, but that isn’t the whole story. Scientists have discovered horizontal gene transfer between insects and humans. They have found evidence of transposons that have been passed to us through parasitic protozoa which live inside blood sucking insects. These transposons are able to cause mutations to the genome by changing the structure and function of the affected DNA. These transposons have been making their way into multicellular organism’s DNA for millions of years, including mammals. In fact, it is said that half of the human genome is made up of transposons. This type of evolution is very common in bacteria. However, this radically changes our view of eukaryotic organism evolution, as it demonstrates how genes were attained laterally from a variety of different organisms as well. 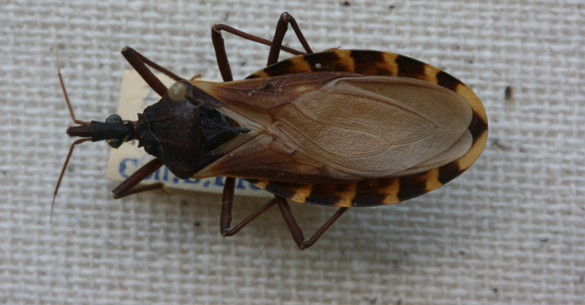 The frequency of change to the genome is likely to be much higher in areas of dense insect population, such as South America. In areas such as these there is a lot of biodiversity and a plethora of biting insects that carry the protozoa that have the possibly of changing our genes forever. Labels: "genetic mutation", "insects", "Transposons"